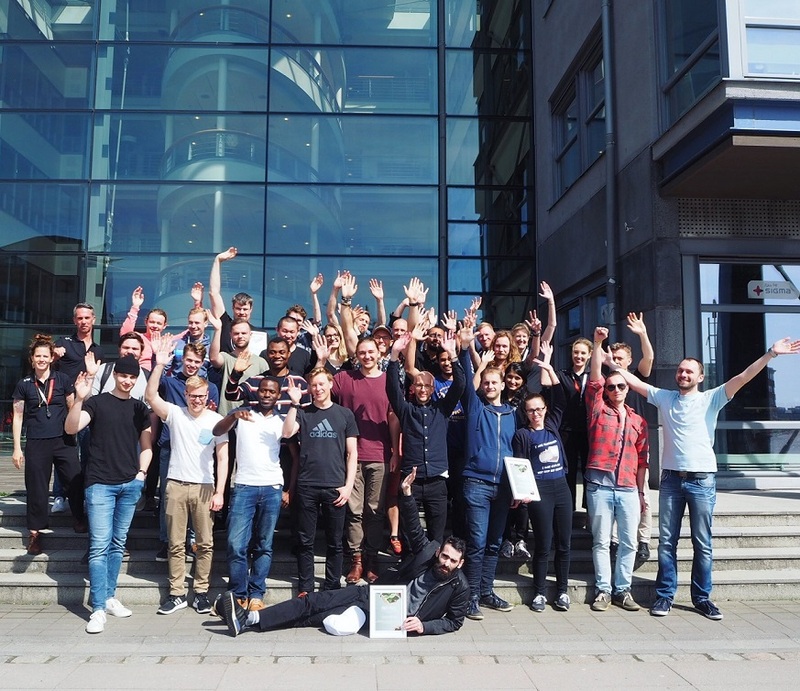 During the first weekend of May, Sigma Technology office in Gothenburg welcomed ambitious and engaged engineers and students who decided to spend 24 hours together with one joint goal –creating solutions for a better society. The Expect a Better Tomorrow Hackathon in Gothenburg received support from our partners, friends, and sponsors including OpenHack, Engineers without Borders, Move to Gothenburg, Bräcke Gymnasium, Star for Life, Nocco, and Fysiken. The idea of the hackathon came to Sigma Technology team last autumn when the company hosted OpenHack’s 48-hour event that gathered over 100 engineers coding for humanity. The topic for Sigma Technology’s hackathon was Expect a better tomorrow, the slogan that reflects the company’s vision and philosophy. 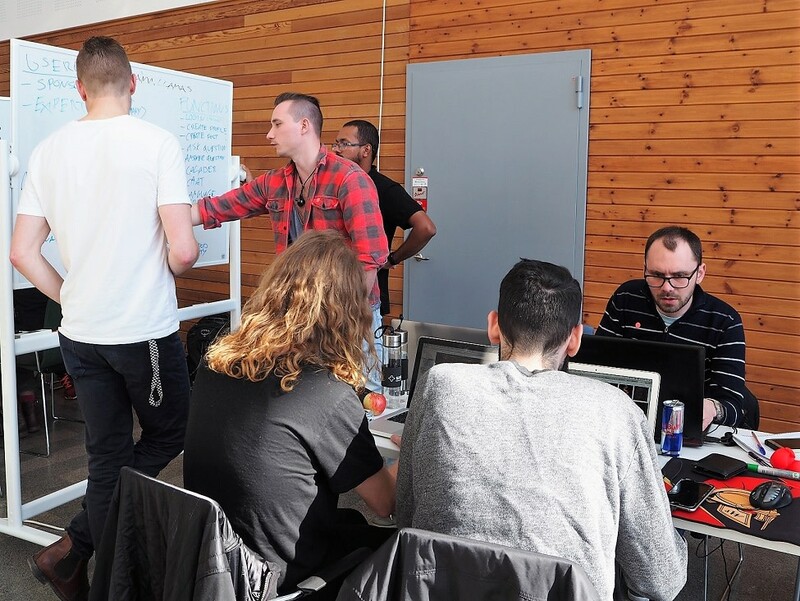 The hackathon began with dividing the challenges and settling the teams. After a few hours of coding, the hackathon participants received the first round of mentoring. The mentors helped them define their ideas better and plan the development process. 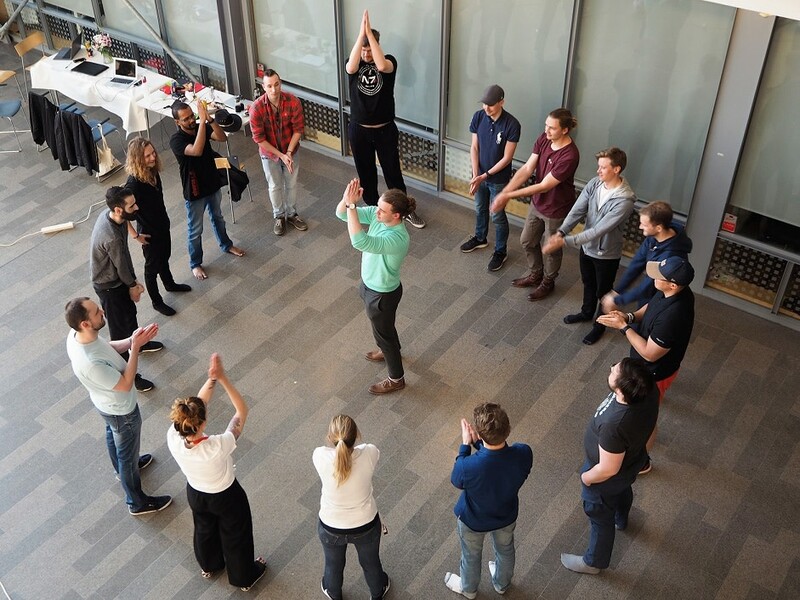 A few hours later, when the sun started to set over Gothenburg, Simon Torell from OpenHack came to Sigma Technology’s hackathon with several energizer activities for the participants. The pizza dinner followed and the teams started getting ready for the night of coding. Sigma lotteries and night energizers kept the teams awake together with no carbs energy drinks from Nocco. The morning started early with yoga and delicious breakfast. Some teams hadn’t slept at all and had some rest enjoying the sunrise. When the countdown showed that only two hours were left, the teams received their second and final session of mentoring. 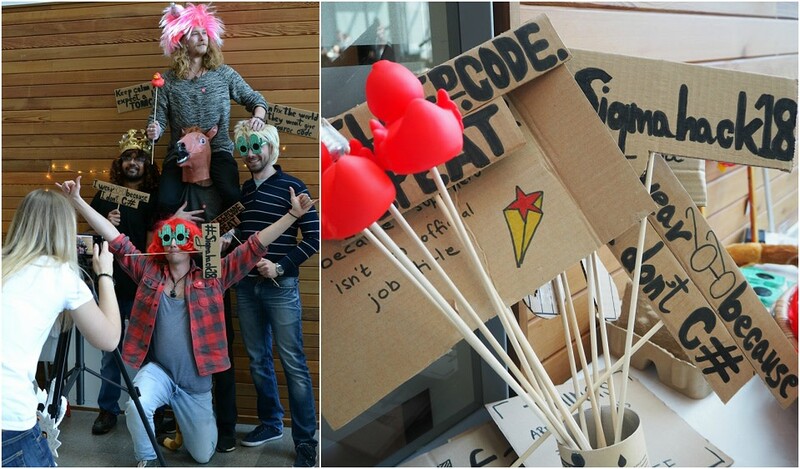 During the whole event, the participants could try out the hackathon’s sustainable photo booth and take some memorable photos. Finally, the 24 hours of coding were over, and the teams were working on their presentations. Green Chili team with their interactive app aimed to promote the benefits of living in Gothenburg. Using gamification and visual material, their app makes complicated and long text descriptions the past. Drama Llamas team with their match-making app that made it possible for people who have resources and the ones who need them to meet. The team has presented a solution that would not only be a place to share assets and tools but would also help people to start conversations and network. Icebreakers team with their web app for more efficient, transparent, and fast communication between Star for Life donors, staff, and schools in South Africa. The app is highly available on any network and gives the users a chance to share information, chat, and publish events. We thank a lot our participants for their fantastic engagement and great ideas. Together, we can create a better tomorrow. We are looking forward to welcoming you in our office again. Do you have questions? Contact us at hack@sigmatechnology.se. Sigma Technology is a part of Sigma Group and is a global supplier of product information, embedded and software design, and offshore development. We are experts with a passion for technology and information, and take pride in delivering quality and constantly improving our deliveries. Our philosophy is “Local Drive – Global Strength”, therefore we have offices worldwide to be close to our customers. For a complete picture, visit sigmatechnology.se. Sigma is owned by Danir AB and has about 3,900 employees and a network of partners in 12 countries.